The Evolis RCT023NAA K ribbon yields 2,000 high-quality black prints per roll. The resin black is required for printing readable barcodes. 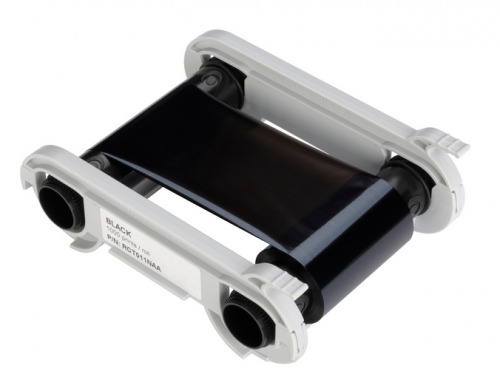 The ribbon also offers you the ability to print high-quality black and white images and sharp text on ID cards, with the Evolis quality you’ve come to expect. For use with the Evolis Primacy and Zenius line of printers.